When it comes to introducing Tehran to outsiders, sometimes guide books and foreigner sources, make the cons and negative parts such as Tehran traffic, and air pollution way bolder than its attraction. And usually the tourists get caught in the cliché of skipping Tehran to have more time for Isfahan and Shiraz. Well, not a good idea anymore. with more than 70 operating museums, Tehran has more to offer as you thought. And many of these museums has objects to offer which you could only dream to see in Louvre or Metropolitan. With thousands of years of history and as the first civilization in the word, you just can imagine what is waiting for you. Especially in the national and Jewelry museum where you can find pre-history pieces, Abbasi museum with its mesmerizing craftsmanship, Moghaddam museum, Ceramic and glassware, Music and breathtaking carpet museum, Time Museum and of course our favorite: Contemporary Art museum. Tehran Metro with 7 operating lines at this moment almost cover every destination with less than 10 Cents per trip! Just try to skip its rush hours (from 4 PM- 7 PM) like everywhere else. Tons of shared and private taxis in the city is also makes it possible to travel in the city easily. Just remember to agree on the price clearly in advance. Also, you can try Iranian versions of Uber like Snapp which is very cheap and easy to use. If skiing and snowboarding are your things, you will love Tehran. With Alborz mountains at its north, Tehran is the city for ski lovers. Dizin and Darbansar are well known international ski resorts of Tehran which are only 1 – 2 hours of ride away. Tehran might look rough on outside. But when you’re inside, you will see many refreshing big parks and gardens. Buttonwood trees are one of symbols of Tehran and frequent in all of gardens of it. Persian Garden, Heaven Garden (Bagh-e- Ferdows), City Park (Park-e-Shahr), Mellat Park, Saei Park, Negarestan Garden, Qeytarieh Park, Taleghani Park, … are just some of most famous ones in Tehran where are popular for a weekend picnic or just relaxing for few hours. Also, Iranian Artist Park (Park-e- Honarmandan) is very close to Hi Tehran Hostel, is a peaceful place to meet Iranian youth. 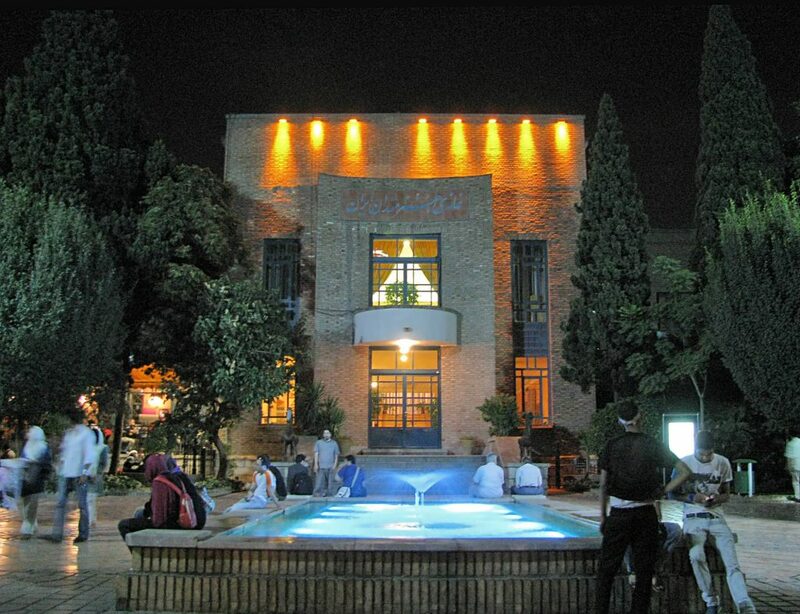 Rumor has it that Tehran nightlife is limited since Iran is an Islamic country. Not a chance. From private parties to walking in streets, staying late in outdoor cafes, parks and gardens after midnight and gatherings in hipster spots for some collective activities, concerts, theaters and cinema halls where are open up to 2 am in the morning or more, Tehran has its own version of nightlife to offer. Tehran as the most recent capital of Iran has a lot to offer when it comes to royalty. From western style modern royal palaces such as Saadabad complex and Niavaran Palace to more Persian style ones such as Golestan Palace and Masoudieh Mansion and many more around the city, reflects the history of royal families in Tehran. Heeva Cafe Kebab, Tajrish Sq. Cafes, Street food, Restaurants and in general quality food is one of the strength points of Tehran which satisfy every taste. In past years the mushrooming of new cafes in Tehran has brought a new lifestyle in town. Cafes with different themes and atmospheres where you can get quality coffee or traditional brewed herbals with a Persian touch of Roses, saffron or cardamom is what a metropolis needs for some spirit. Since picnicking outdoor, public entertainment facilities and spots have been an old culture in Tehran, it’s quiet simple to have fun for free or very on budget in Tehran. You just have to call some friends or have some energetic co-travelers.Here you can read top 10 fun and free things to do in Tehran. It doesn’t matter what brand or product you are looking for. You will probably find it in Tehran. And if you’re a tourist, well then, considering the rates of exchange, Tehran can be the heaven for you. From Grand bazaar to Tajrish fruit and traditional bazaar and the most amazing Friday flee market in Tehran which is one of the kind, Tehran won’t let you down. beside all characteristics of Tehran, we can say people are the most important factor that make you fall in love with Tehran. With a high rate of immigration, Tehran is a combination of cultures from all around Iran. The city is always on rush. But it will take you just few minutes to find someone who is ready to be your friend, help, or bring the secure familiar feeling in your heart and a big smile on your face. Iranians are what that make this country unforgettable.